Although some Android device manufacturers have made an effort to keep up with the race for Android updates, fragmentation is still a big problem for Google today. But, apparently, the Big G has a solution called the Google Play Store. Although Google has stopped publishing official statistics on the worldwide distribution of the Android operating system, among other things without any notice or motivation, we can certainly exclaim that ambitious initiatives such as Project Treble have not made a big difference in the speed of system updates. However, the search giant is about to implement a particular change that could give a big hand to manufacturers. 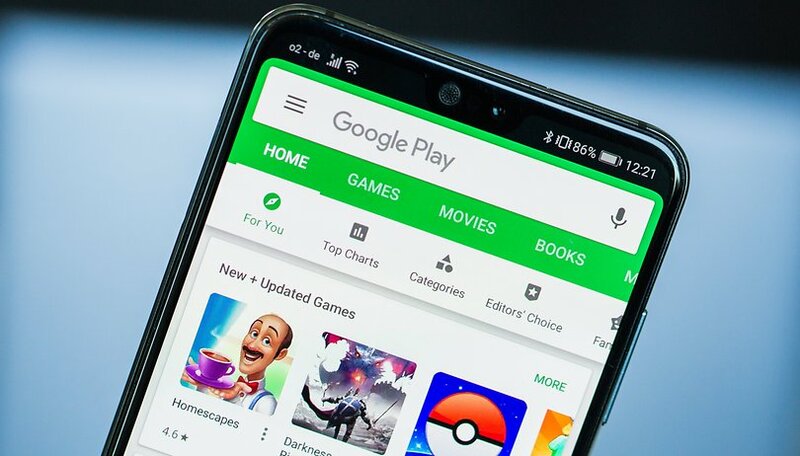 Instead of receiving operating system updates via device settings, it is likely that users will get a new option that can do the same thing directly in the Play Store. The news comes from colleagues at 9to5Google, who have found this information in the source code of the new version of the app. Obviously, the feature is not yet available and we do not know when Google will implement it. It is also likely that it will never happen, since Google often tests new features internally without ever putting them into practice or distributing them to its users. However, this seems like a very good idea. With a function like the one described above, users would be able to update both their apps and operating system in one, much more user-friendly place, rather than digging through the various settings screens. Needless to say, this small improvement also makes it much more convenient to distribute updates to manufacturers, who may be increasingly encouraged to update their products in the shortest possible time. Would you agree if Google decided to go down this path? In theory? This would be awesome! But, we're dealing with different device manufacturers, some utilizing close to stock Android OS, others far from Android OS. Google could tell every device manufacturer that uses Android OS "you got to offer timely updates" with regards to security patch / OS patch, but how will Google make it happen? Threatening to take Android OS away? They would lose $! I guess I am fine with whatever I can get update wise on my device. I am all for an online database showing who updates and who does not update (as a consumer I think it's okay to call out a device manufacturer online AND complement). I wonder this could be part of Project Treble, making it quicker for Android One handsets to be updated. Would love this to be able to update like pixel users Go GOOGLE DO IT! !